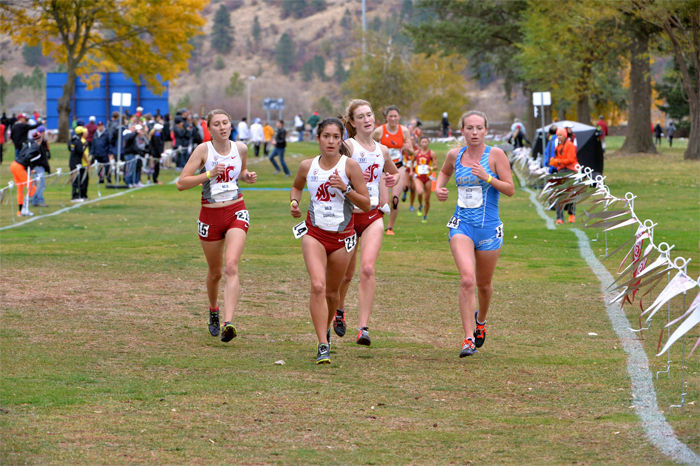 Junior Alexys Garcia runs in front of teammates senior Amanda Henderson and freshman Josie Brown during the Pac-12 Championships at Colfax Golf Course, Oct. 30, 2015. As the season draws to a close, the cross-country team returns to a familiar course to race for a chance to continue its season. 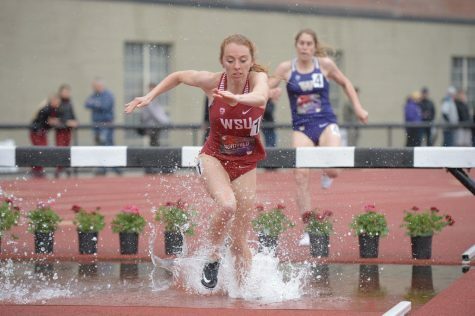 Depending on how the Cougars execute in Seattle at the NCAA West Regional Championship today, the Washington State harriers could see their season end. 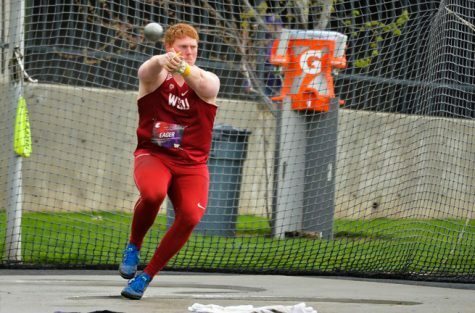 The top two teams from each region automatically advance to the NCAA Championships. 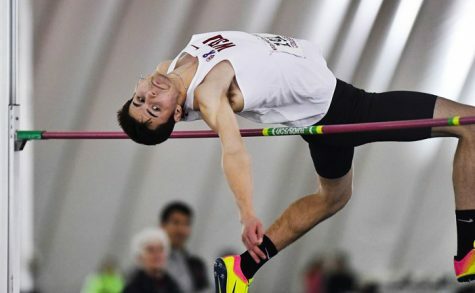 After that, it comes down to how the remaining teams have placed not only in their regional meets, but also throughout the season compared to the teams already given spots on the championship course. 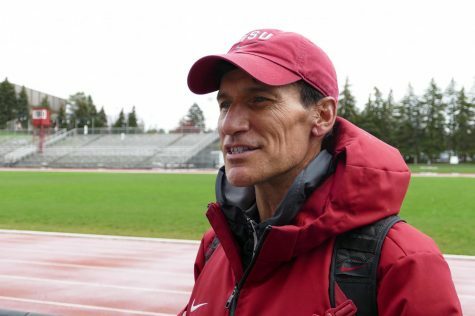 Despite the confidence of their coach and the NCAA, the Cougar cross-country teams will have to step it up. The men especially will need to do so as they are racing 10 kilometers, as opposed to they eight they have raced for most of the season. The familiarity with the course will provide some security for the racers. 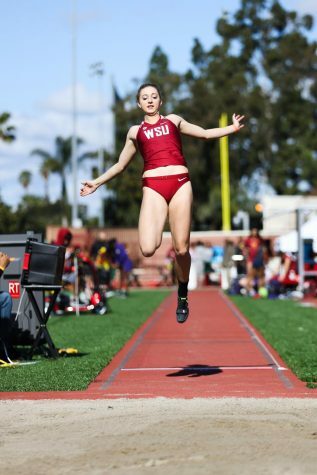 When looking back to the Washington Invitational when they raced on Jefferson Golf Course, junior Steffie Pavey said that most everyone made personal records and were fast across the board. 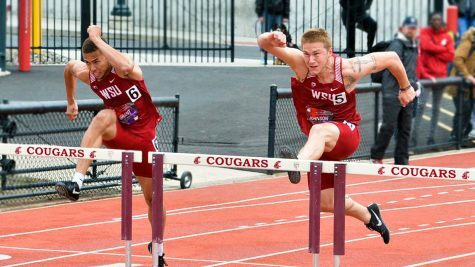 The plan is to race with the same vigor and spirit as when the Cougars ran against the Huskies a month ago. Phipps had said then that they would race more aggressively, and Pavey said that the Championship will be a similarly aggressive race. 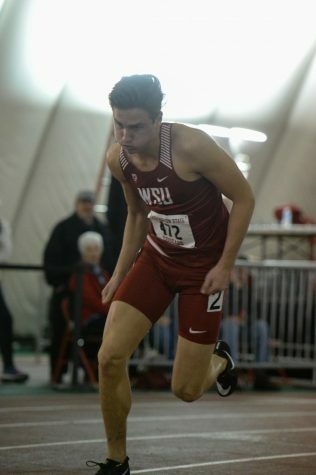 The course is comparable to the WSU home course which they competed on last week in the Pac-12 Championship and have been practicing on for the past 10 weeks. Both are flat, fast courses that the WSU runners know how to navigate. 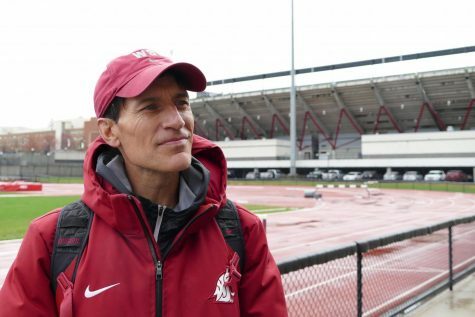 Though expecting the weather to be stormy, the Washingtonian WSU runners are undaunted. The wind and rain will benefit them against universities like UCLA, who have been enjoying 70-degree weather all season. The women’s race will begin at noon today, followed by the men’s race at 1 p.m. Results will be posted on wsucougars.com at the conclusion of the races.